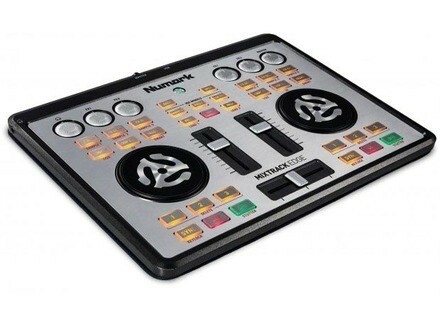 Mixtrack Edge, MIDI Control Surface for DJ from Numark. It is beautiful all kawai she can close to 2/3 of my laptop. The plastic shell is nice good quality affected tray brushed light up when it is in the most beautiful effect. 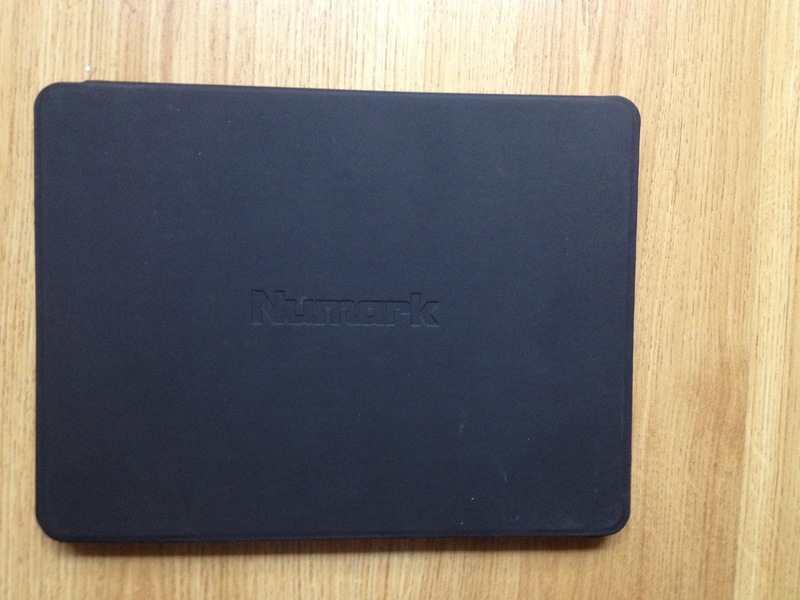 The hinged protective cover is a real plus for transportation, this small mixer with 1.4 cm thick will stow easily into the cover of the laptop. The two jogs in alluvial are quite beefy and hit is frankly not rude, they are perfectly exploitable malgrès their small size. The function buttons are of good quality and reliability breathe. 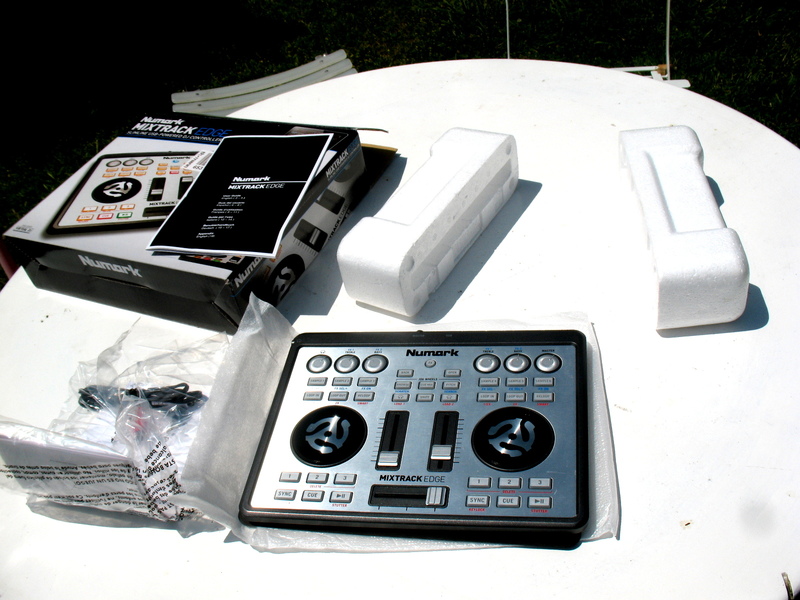 The only downside is the manufacture of the plastic knobs and faders which is a cheap but overall it is a beautiful product. 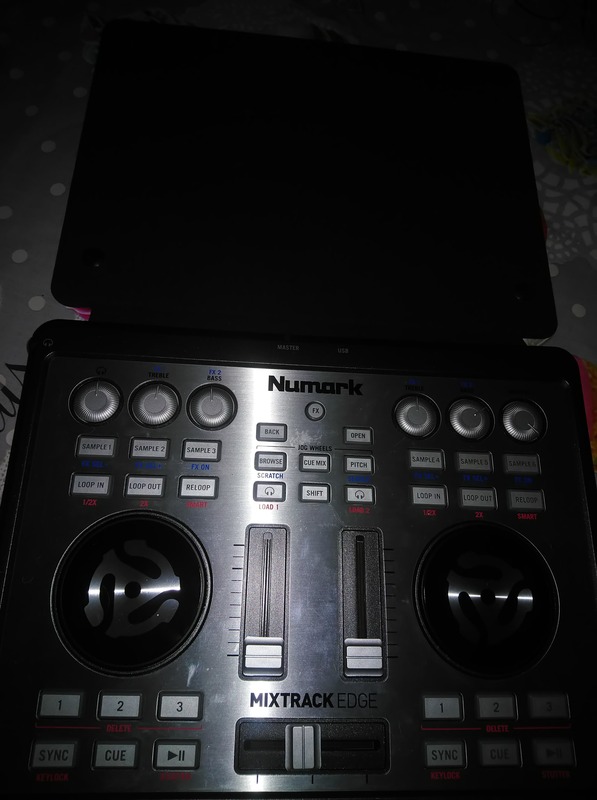 The table is supplied with virtual DJ I do not dwell on it as much as you might know better than me what kind of products. The grip is quite intuitive, because I am totally profane has always mixed on vinyl I have not had too much trouble to take my stuff in hand. faders dishes do not ask me any particular problems there have done very well, although we will not imprison a pass-pass with hell, anyway this is not its primary function. In contrast round bass settings knobs, treble are more troublesome to handle, but not insurmountable either. With the shift modes and FX remains very full for a minimum footprint. I thought the lack of dedicated control pitch would bother me but it was not, just hold down and jogs allow to settle once we got the hang of it is naturally pitch button. Brief for less than 150 euros it's all good, a little trick all nice and fairly complete, finished the chore of moving my shelves and my skeud for evenings with friends. 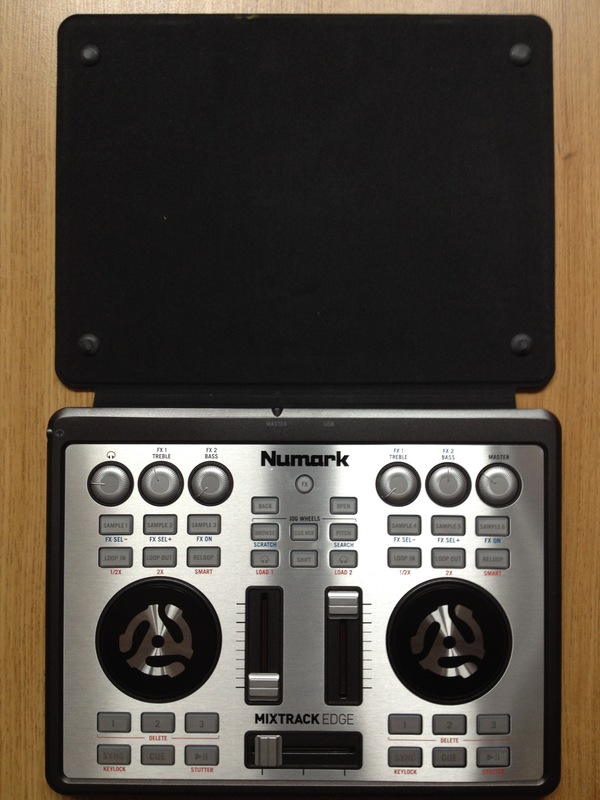 small mixer, the laptop and go to jumper friends. 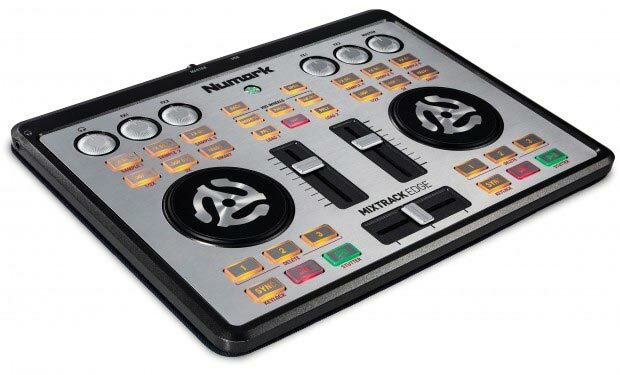 Numark will introduce on wednesday at Musikmesse the Mixtrack Edge ultra flat MIDI control surface for DJ.